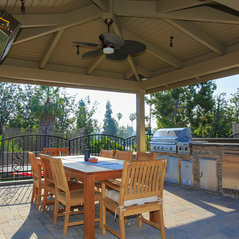 Thinking about an outdoor upgrade to your home? 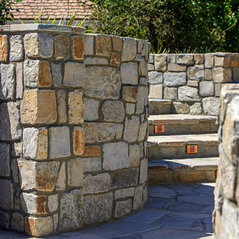 West Hills Masonry provides residential and commercial hardscape, landscape and outdoor-living construction services, and we’re here to help you realize your dreams. 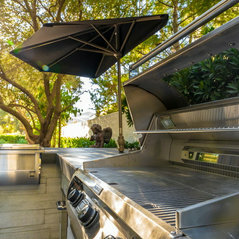 Our specialties include beautiful backyard remodels, front yard remodels, patios, driveways, outdoor kitchens, pools and spas. 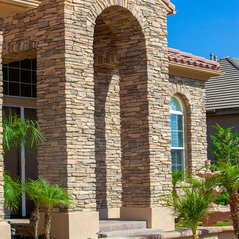 We’ll take your project through design, material selection, and construction from concept to completion. 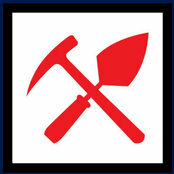 With over 30 years of outdoor residential construction experience, we have a record of award-winning service, integrity and dependability. We’re located in Irvine and our service areas include Orange County and Southern Los Angeles County. Hire the dependable pros with a reputation of quality work. Call us today and let’s talk about your project. Interlocking Concrete Pavement Institute, Contractors State License Board, Yelp 5 Star Rated, Angie's List "A" Grade, Home Advisor Top Rated - 5 Year, Best of Houzz 2018, and Belgard Authorized Contractor. The did a great job pulling up our existing cracking driveway and pouring a new driveway. The new driveway blends nicely with the existing concrete. Thanks West Hills. 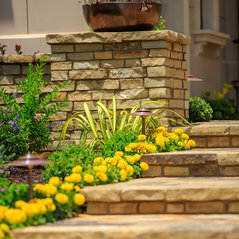 Commented: What color are these pavers?The color is Victorian by Belgard. Commented: What name of flagstone is this?Mesa Buff is usually a popular one with Cameron. Natural grey colored concrete can compliment nicely as well.